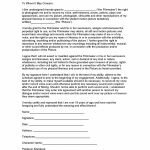 The actor release form is designed for a student over the age of 18 years, to grant full permission to a named Filmmaker to use all aspects of the filming and recording of an actor, including but not limited to: photography, filming, audio recordings of the actor’s voice, performances, actions, plays, poses, appearances, and use the actor’s picture, photograph, silhouette and other reproductions of their physical likeness only in connection with a student motion picture. As well. 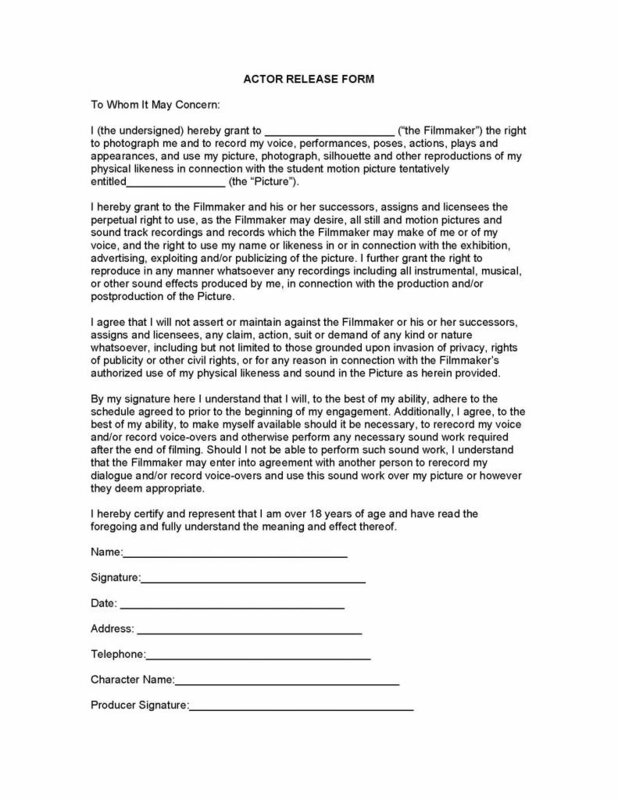 the actor, must agree to the granting of permission, to the Filmmaker, their successors, and/or licensees the ongoing right to use, at the filmmaker’s discretion, any and all still as well as motion pictures of the actor; sound track recordings of the actor’s voice, and the right to use their name or likeness in connection with any exhibition, advertising, exploiting and/or publicizing of any filmed or audio materials. The actor should strongly consider careful review of the document. If there is any portion of the document that is not understood, it may be wise to have an attorney look over the document to keep the language in the best interest of the actor.